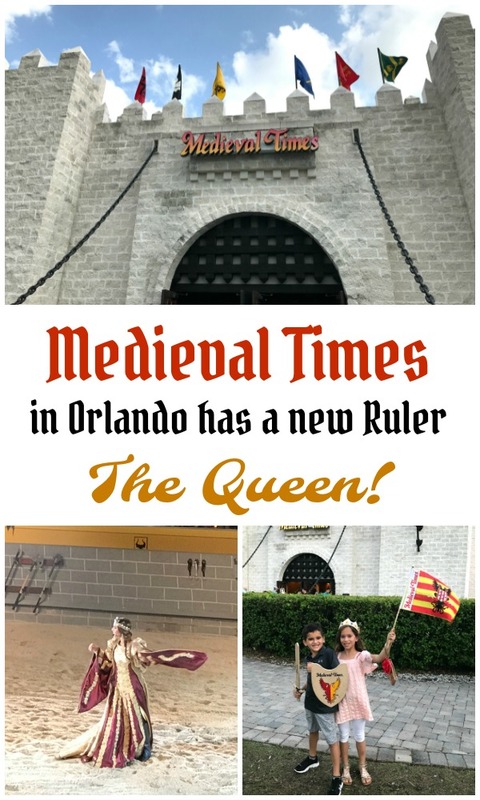 There's a New Ruler at Medieval Times Orlando, The Queen! 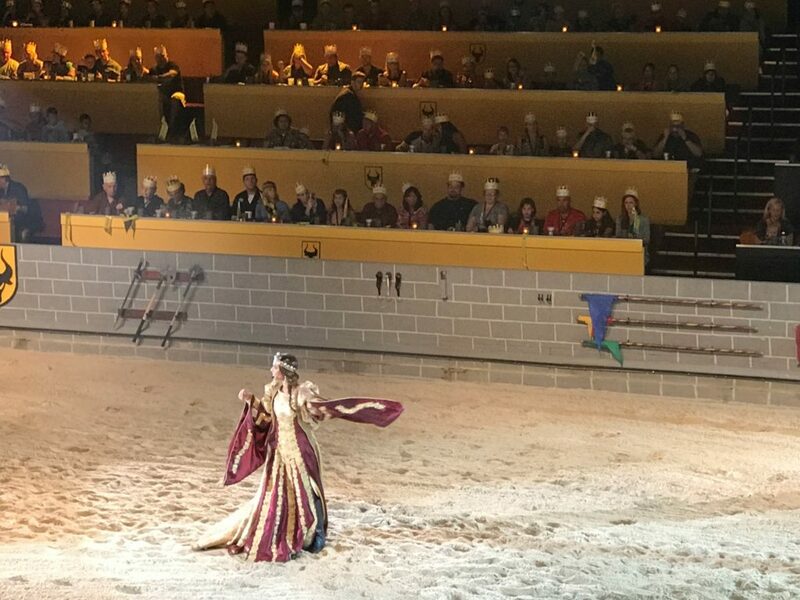 There’s a New Queen at Medieval Times Orlando! 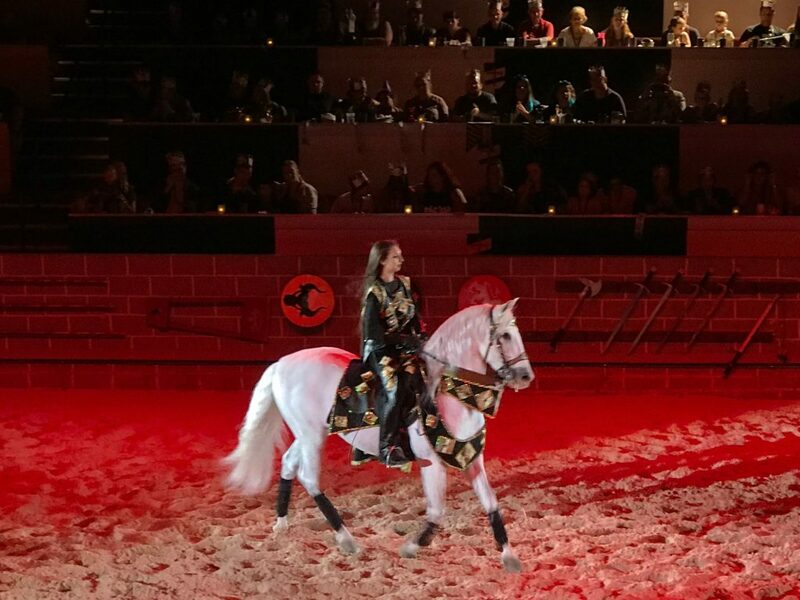 Last weekend we were invited to see the amazing new show at Medieval Times in Orlando. We had never attended this dinner show, but I have heard people rave about it for years so we were excited and intrigued. On April 19th, the Orlando Castle made a Queen the new royal ruler for the first time. The Queen replaced the king, her father, who had ruled the kingdom for over 34 years. 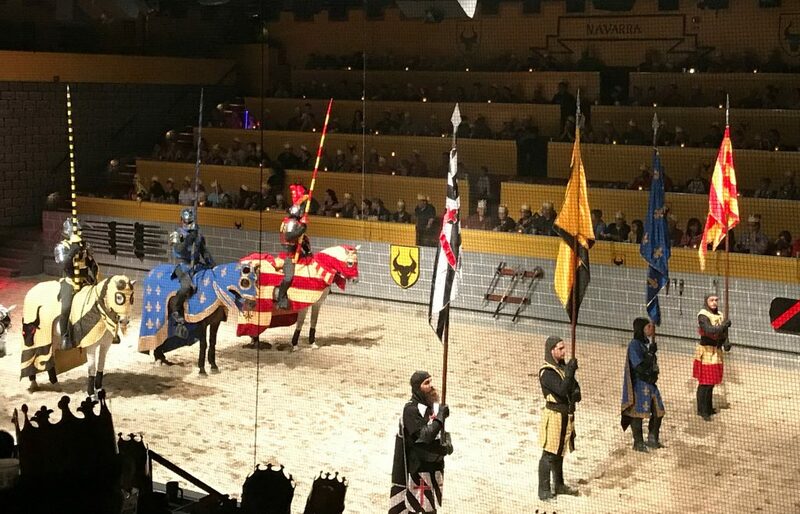 This is an impressive move by Medieval Times and I have to say the show was magnificent! We arrived at the kingdom about 30 minutes before the castle doors opened to take a tour of the Medieval Village which was packed with authentic artifacts from Spain. 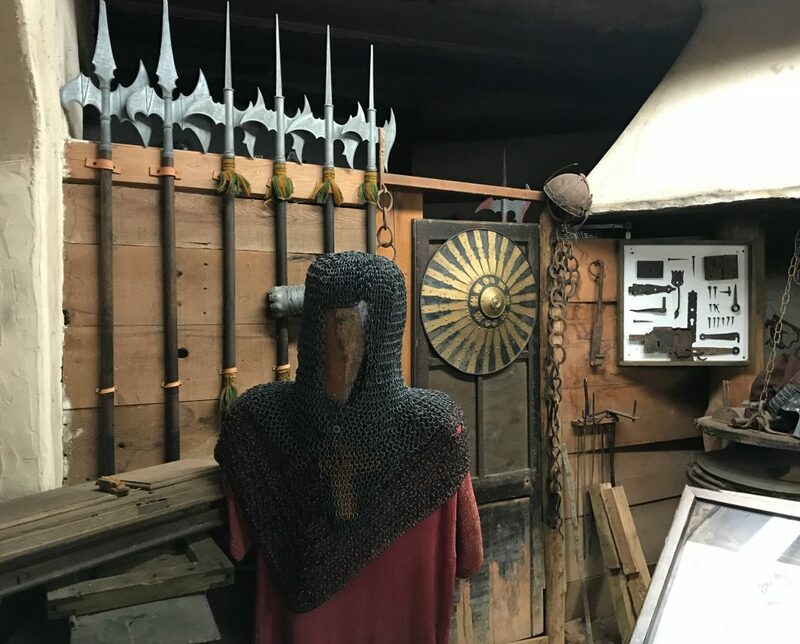 This was a great experience which was very educational, so I definitely recommend arriving early and strolling through the village and learning about what life was like in the medieval times, especially because Orlando is the only castle to host a village with these artifacts. 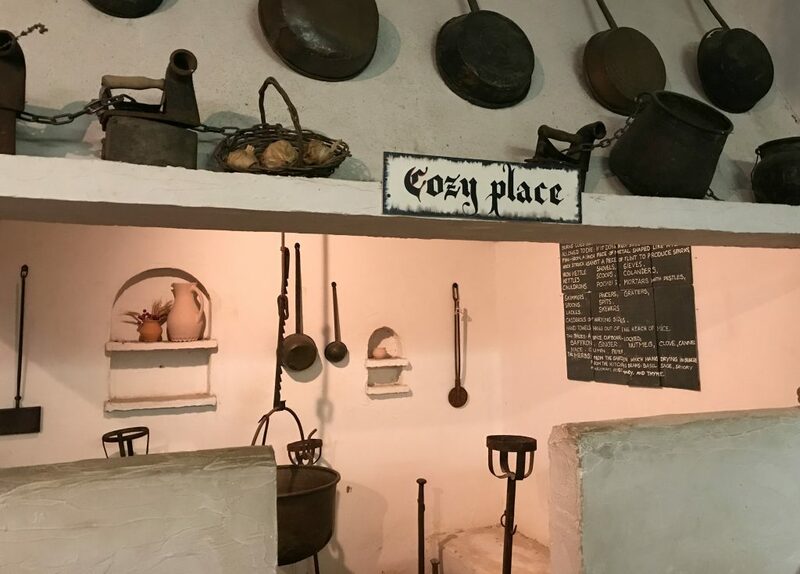 We learned how people lived depending on their career, saw the horrifying torture methods they would use on criminals, and learned out how people dressed and cooked during that time period. 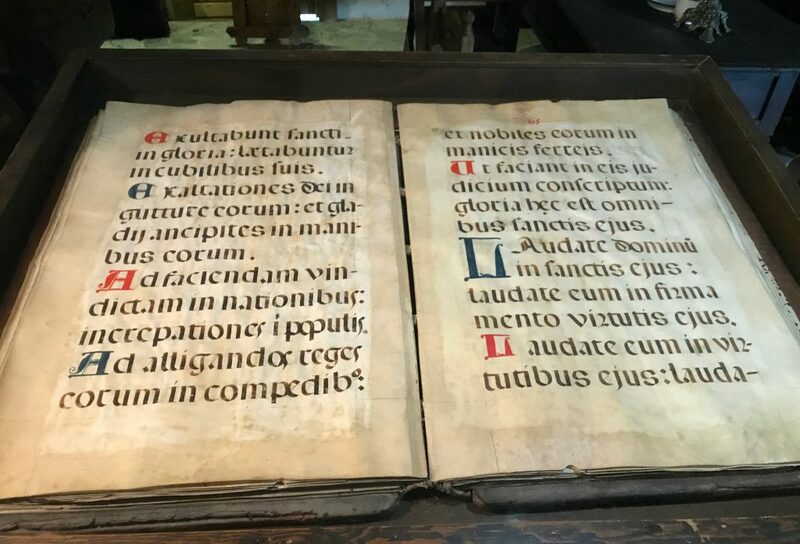 The artifacts alone are a sight to be seen, for instance, this book is over 600 years old and made of animal skin! Once the castle doors open, you purchase your tickets and get in line to have your photo taken with a character from the show. They bring the photos around during the show for you to see and decide if you’d like to purchase one. 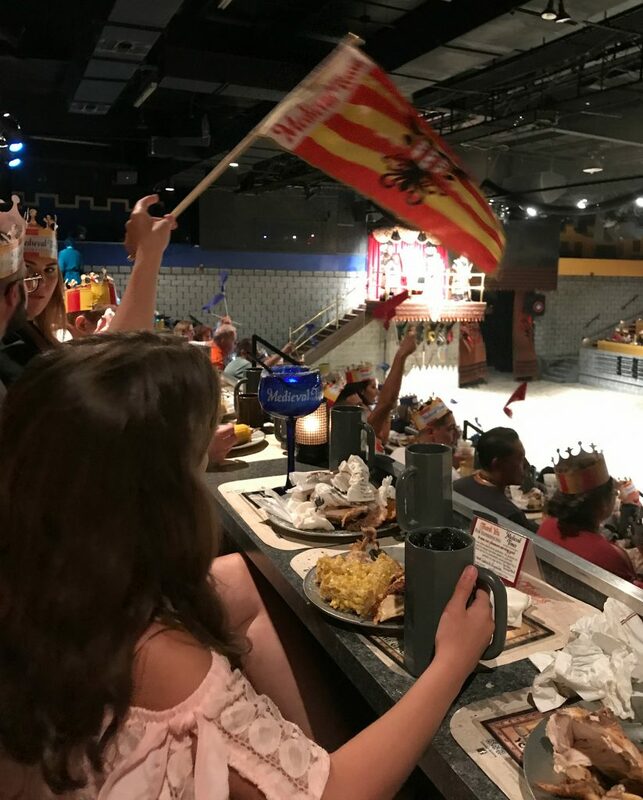 Then you are lead into a large room that is filled with souvenirs you can purchase including flags that coordinate with your seat’s knight, purchase a birthday package or a beverage at the bar. Once everyone one is in, they begin calling in color groups based on your ticket in to be seated. 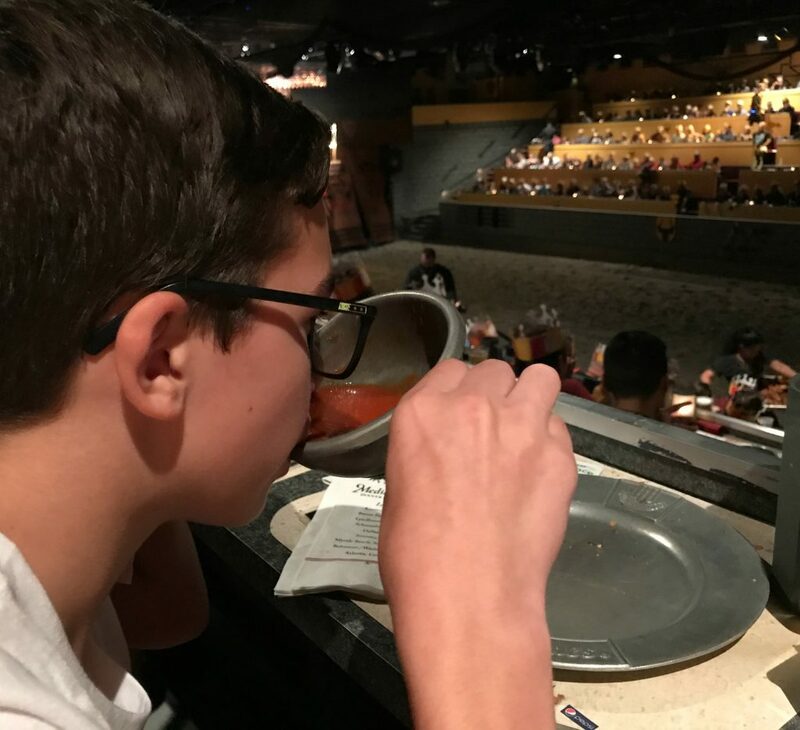 Don’t expect a fork and knife and make sure your hands are clean because at Medieval Times they are your utensils! We were served tomato soup with garlic bread, followed by a large piece of roasted chicken, a baked potato, and a piece of corn on the cob, and a piece of pound cake for dessert. The food was delicious, I was impressed that even Aidan the pickiest eater of all ate everything! This is a fun show full of jousting, hand to hand combat and sword fights! Plus, what makes it such a great show is that everyone truly gets into the spirit, cheering on their knight. 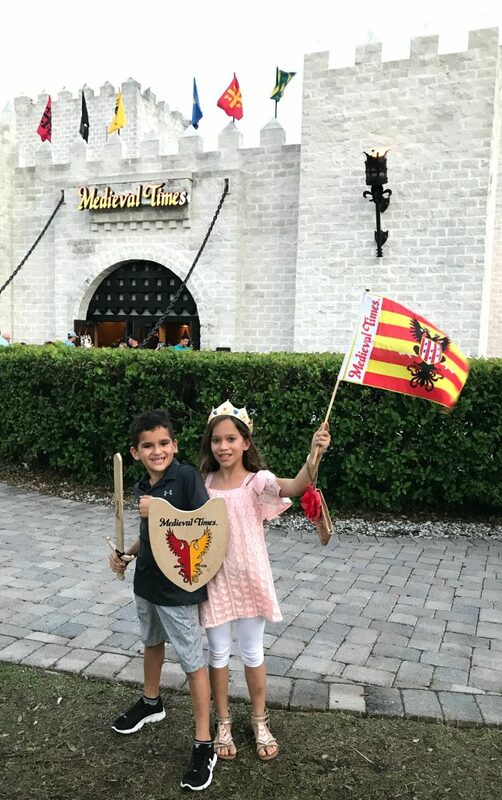 Lilly got a flag on the way in and it was being waved the entire show, while Aidan was so excited it was hard to keep him in his seat as he cheered and clapped for our knight throughout the knight battles. Lilly and I were both in awe of the horses, especially the white horse that seemed to dance as she performed. It was like watching a unicorn! We also loved the Queen who was a kind ruler of the kingdom, however not afraid to stand firm and be a strong leader when needed. This new performance is a must-see while in Orlando! Shows take place daily, visit medievaltimes.com for showtimes and tickets. Disclosure: We received free passes to help facilitate this post. All opinions are 100% my own. I haven’t been to Medieval Times but I’ve been wanting to for awhile . . . it looks so fun! The food sounds delicious but my hubby would hate having to eat with his hands haha. This is so cool! I love that there’s a queen now! 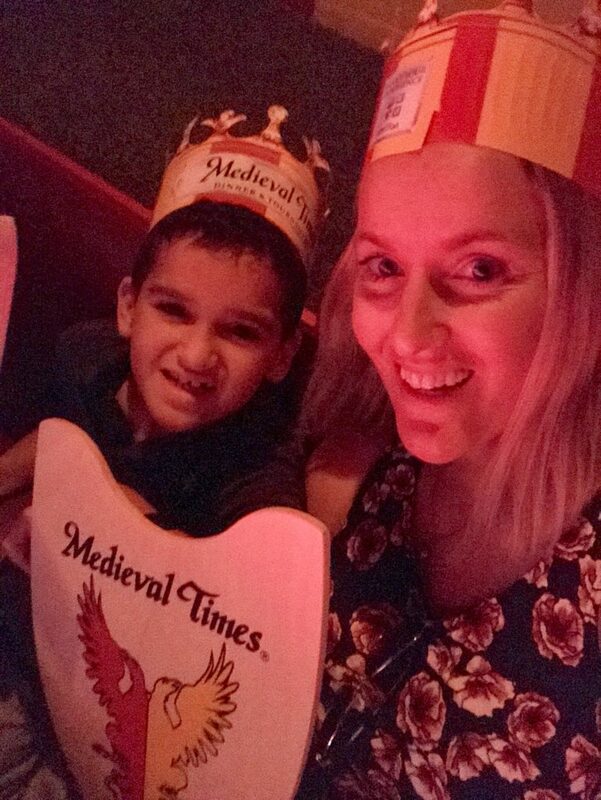 I’ve gone to Medieval Times in Orlando a couple times but it’s been awhile – will have to change that! It looks like you had such a lovely day out here. It must of been so much fun to explore the medieval times. This looks like so much fun! My kiddos would enjoy this so much. 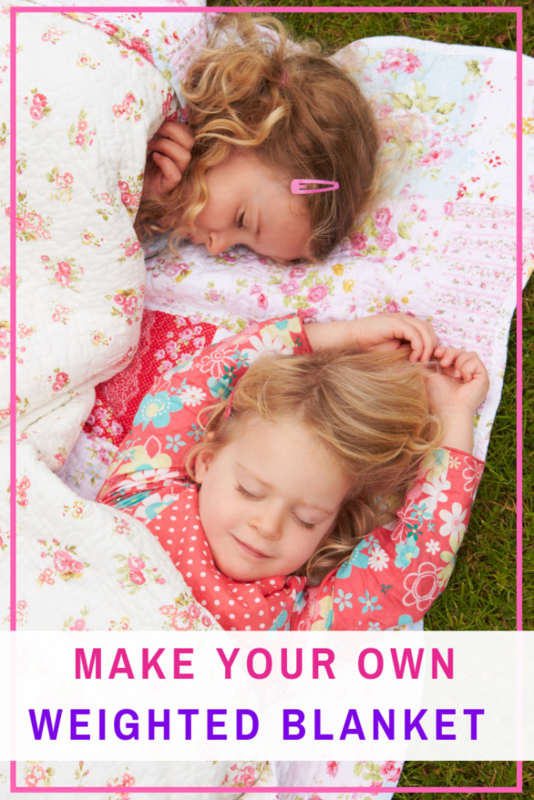 Looks like a great way to spend time together with the family. What a fun and great experience you had. This is so cute! I haven’t been to Medieval Times in forever, I’m glad to see it’s still thriving. I would love to visit this medieval village – looks like so much fun. Such happy pics too! Aww this looks like SO much fun!!!! 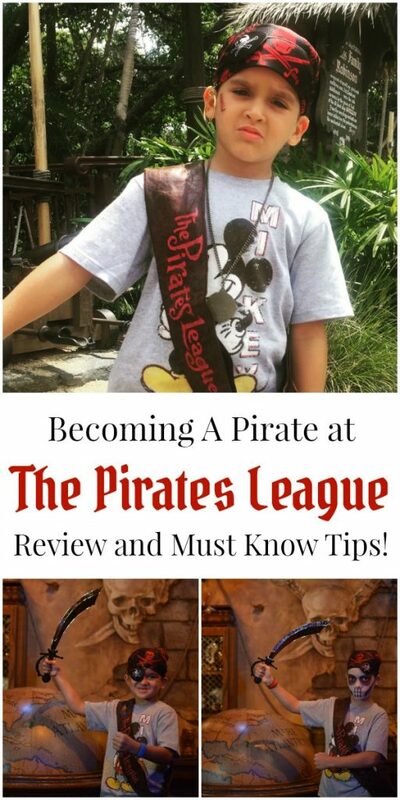 I would absolutely adore taking my son to this someday! We were able to visit the castle near our home in California. The new show is fantastic! My girls loved seeing a queen rule over the castle with grace and strength. 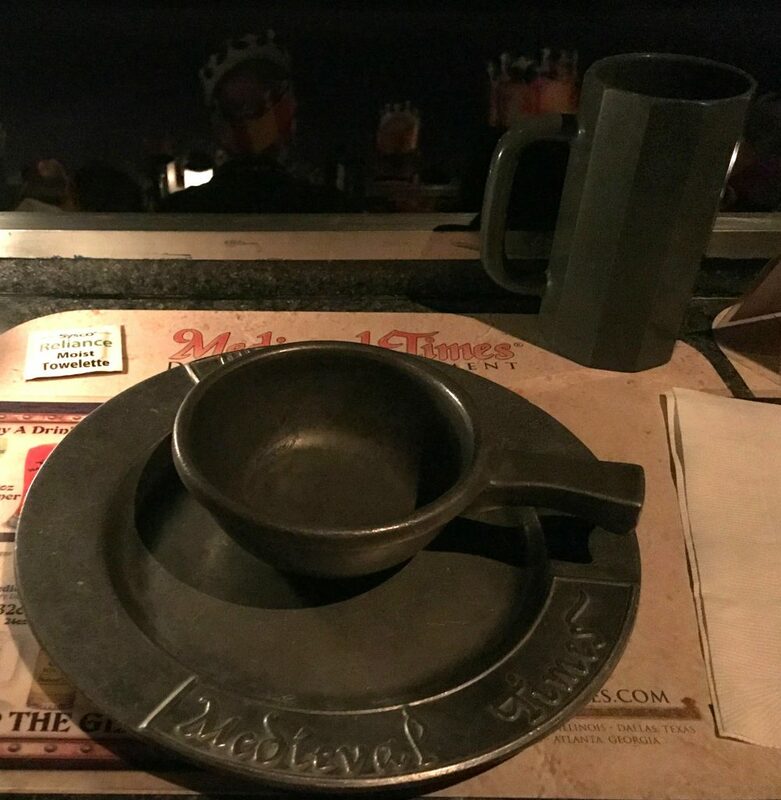 I would love to take my grandchildren to dine and watch the show at Medievil Times in Orlando! They would have a grand time as would their parents and I. After 34 years its time that caught up and allowed a queen. Such a nice place to visit and it looks like a nice show and I am sure my kids will enjoy it.